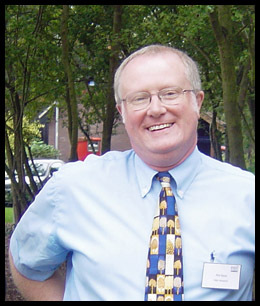 Phil Back is a well-known figure in local government research, with an established track record in leading and directing research projects for the public sector generally and for local government specifically. I've worked for a large number of local authorities, with vastly different research budgets - county councils, unitary authorities, districts, and metropolitan authorities, across a wide range of services - planning, customer services, leisure, environmental health, housing, transport, highways, waste, corporate services� the list is as long as the list of local authority responsibilities. Read about my innovative research solutions here. I was the first Information and research manager for the East Riding of Yorkshire Council in Beverley, where I worked for several years and developed a strong research and intelligence function that supported service improvement across the council. I later became Head of Local Government Research at RBA, one of the country's leading public sector research consultancies. In 2006, though, I became an independent research consultant working with my former clients and with new contacts. My background also includes significant spells of work in community development and the voluntary/community sector. I was director of a Rural Community Council for some years, and served as Secretary of my county Parish Councils Association and Playing Fields Association, as well as on several regeneration and other partnership committees. I also worked for over five years as a volunteer with the BBC, representing audiences at local and regional level. Among other things, this means that I have a wide network of contacts and freelance researchers that I have worked with before, that can be brought in when appropriate to add their skills and insights to a project. 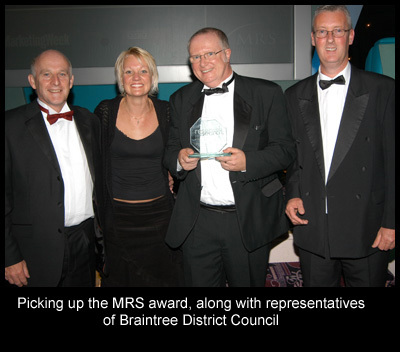 These include many of the people who worked on some of the most successful research projects run by RBA, including our award-winning work with Braintree District Council and Wakefield Council. I have a degree (in modern history) from the University of Stirling and a postgraduate qualification (in transport history) from the University of York. I am a full member of the Market Research Society, and a member of the Local Authorities' Research and Intelligence Association.